Bunbear Quilts: Can You See Them? 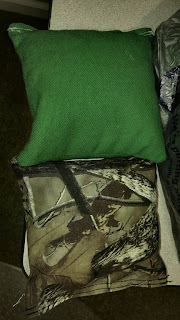 Camouflage material for the corn toss bags! It isn't the heavy canvas of the other bags, and that concerns me, but they were requested in camo, so that's what they got.